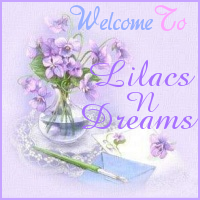 Welcome to LilacsNDreams! Today is a little bit about identifying your customers with target marketing. As sellers you provide customers with a special feeling that items made from passion can produce, and treasures found that they have been looking for. Targeted Marketing simply means finding those customers who desire your work, and what you have to offer. It is time for you to share with everyone what it is you have to offer. It's time that you introduce yourself to people so that you may find some of those paying customers for your business. Replace some of that old fashioned marketing with that warm, and inviting smile with today's socially acceptable advertising. Permission marketing (customers sign up, request more, voluntarily follow you) is some of what is happening in today's marketing. Keeping customers up to date, and informing them about your work can help make them into paying customers. When you add value to the world, the world will value what you offer. The question is how to find those that value what you have to offer. Many look for fans, followers, likes, and favorites. The bottom line is that your audience will compose of those who become your paying customers. Your audience will be composed of people who "get you" and they truly want what you have to offer. You will have to find these people by identifying them. Are they male, or female. What is their age. Are they single, or maybe married. From which genre do they do most of their shopping. Are they a crafter, artist, collector, etc. Are they maybe a blog reader, or not. How will your products of handmade, or collectibles make them feel. Many many questions to keep in mind as you approach your marketing for your business. You can generate a list of where these people hang out at by identifying them. This in turn will help you to identify your niche market. These people will pretty much be doing the same in that niche market. Give it a little time, and let the answers be put onto paper. You might be amazed at the ideas that you will come up with. 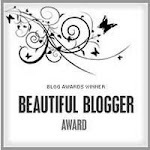 Remember to visit Lisa at Market Your Creativity as she shares these things into a little more depth of what I am sharing from there to here. Thanks so much for sharing some time at LilacsNDreams. 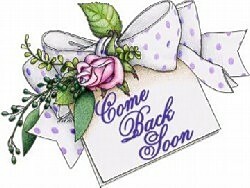 Until the next time I wish you all well, and have a wonderful day. See you again soon! Toodles . . . . .